Use a durable and highly available object storage service. With global edge-caching, your users have fast access to your app’s data from any location. The highest level of durability, availability and performance. Same level of durability and performance. Lower cost due to lower availability. Low-cost, highly durable storage for archiving, backup, and disaster recovery. With no minimum fee and a pay for what you use model, Google Cloud Storage capacity pricing is the most cost effective in the market. In addition, with lifecycle management Google Cloud storage allows you to reduce your costs even further by archiving your objects to Cloud Storage Nearline and through scheduled deletions. Store your data on Google’s infrastructure with very high level of durability and availability. Google Cloud Storage stores and replicates your data allowing a high level of persistence. Google Cloud Storage is built with a replicated storage strategy. All data is encrypted both in-flight and at rest. The Google security model is an end-to-end process, built on over 15 years of experience. Cloud Bigtable is Google’s NoSQL Big Data database service. It’s the same database that powers many core Google services, including Search, Analytics, Maps, and Gmail. Bigtable is designed to handle massive workloads at consistent low latency and high throughput, so it’s a great choice for both operational and analytical applications, including IoT, user analytics, and financial data analysis. Bigtable offers low latency and high throughput at any scale or application type. You can use Bigtable as the storage engine for large-scale, low-latency applications as well as throughput-intensive data processing and analytics. Bigtable provisions and scales to hundreds of petabytes automatically, and can smoothly handle millions of operations per second. Changes to the deployment configuration are immediate, so there is no downtime during reconfiguration. 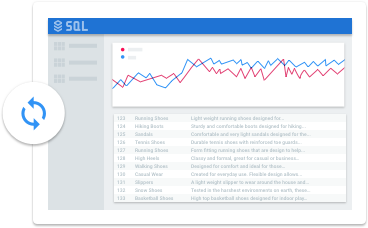 Bigtable integrates easily with popular Big Data tools like Hadoop and Spark, as well as Google Cloud Platform products like Cloud Dataflow, BigQuery, and Dataproc. Plus, Bigtable supports the open-source, industry-standard HBase API, which makes it easy for development teams to get started. Use a managed, NoSQL, schemaless database for storing non-relational data. 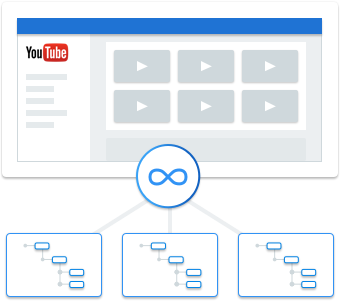 Cloud Datastore automatically scales as you need it and supports transactions as well as robust, SQL-like queries. Cloud Datastore is a highly-scalable NoSQL database for your applications. Cloud Datastore automatically handles sharding and replication, providing you with a highly available and durable database that scales automatically to handle your applications’ load. Cloud Datastore provides a myriad of capabilities such as ACID transactions, SQL-like queries, indexes and much more. With Cloud Datastore’s RESTful interface, data can easily be accessed by any deployment target. You can build solutions that span across App Engine and Compute Engine, and rely on Cloud Datastore as the integration point. Store and manage data using a fully-managed, relational MySQL database. Google handles replication, patch management and database management to ensure availability and performance. Google Cloud SQL is a fully-managed database service that makes it easy to set-up, maintain, manage and administer your relational MySQL databases in the cloud. OurCloud SQL Second Generation BETA offers improved performance, scalability, and convenience. Hosted on Google Cloud Platform, Cloud SQL provides a database infrastructure for applications running anywhere. Cloud SQL Second Generation BETA is 7x faster and will scale up to 20x the capacity of our first generation and is less expensive for many use cases. Second Generation also offers more control over, and less frequent, maintenance windows. If these are key features for your application, consider using Cloud SQL Second Generation. Google Cloud SQL is easy to use. It doesn’t require any software installation or maintenance, and scales effortlessly for demanding applications. 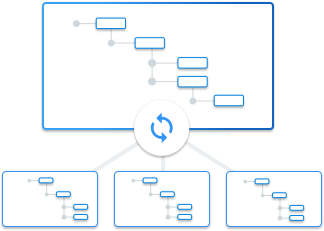 Cloud SQL automates replication, patch management, and database management. Easily configure replication and backups to protect your data. Go further by enabling automatic failover to make your database highly available (HA). Your data is automatically encrypted and Cloud SQL is SSAE 16, ISO 27001, PCI DSS v3.0, and HIPAA compliant. 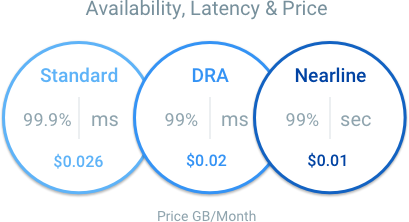 Cloud SQL Second Generation BETA introduces per-minute, pay per use billing, automatic sustained use discounts, and instance tiers to fit any budget. You won’t pay for unused time and with sustained use discounts, you automatically get discounted prices for databases that run continuously with no sign-up or up-front commitment.